Isabel’s popularity led to the rise of Annabel. Parents who loved Annabel quickly discovered Arabella. Could this choice be the next logical favorite? Thanks to Lola for suggesting our Name of the Day: Araminta. We’re not quite certain about Araminta’s origins. What’s known is that two authors used the name in their works at the tail end of the 1600s. William Congreve’s The Old Bachelor featured an Araminta in 1693. Sir John Vanbrugh used it in The Confederacy a few years later, in 1705. Since Congreve and Vanbrugh knew each other, there’s speculation that they also knew a woman named Araminta. If that’s the case, the muse’s identity is lost to history. It’s possible that Araminta is a variant of Aminta – the title of a sixteenth century play by Italian Torquato Tasso. Tasso might not be a household name today, but he was well known then. His life inspired a Goethe play and a Donizetti opera. In any case, Araminta caught on. She might not have rivaled Mary or Anne, but we find plenty of Aramintas in the historical record. A US census search suggests that it was a reasonably common choice for women in the 1800s. In fact, in 1880 five newborn girls were given the name – enough to rank Araminta #842. She’d chart again in 1884, but never afterwards. Early 20th writer John Collis Snaith titled a novel Araminta around 1909, but by then the name was already dying out in the US. She appears to have fared better in the UK, still sparingly used for many generations. For example, Tamara Mellon – the woman responsible for bringing Jimmy Choo footwear to the masses – called her daughter Araminta in the early 2000s. One of Winston Churchill’s descendants is the two year old Lady Araminta. The most notable Araminta we know actually dropped her given name. Harriet Tubman was born Araminta Ross in Maryland – but she was also born into slavery. Harriet was her mother’s name. Angie Sage pens the Araminta Spook series of books for young adults. Overall, Araminta has two identities. The first is the lacy, vaguely English and slightly aristocratic cousin of Arabella. The second is a surprisingly edgy alt goth vibe, thanks to her popularity with writers of sci fi and fantasy. The only real drawback is the quirky nickname Minty, but you might also call her Minna or even Amy. If your surname is simple, this is a pleasingly feminine choice with lots of literary oomph. @ Appelationmountain, My sn. Is cash, soo soft and feminine , that I had to go with strong frillly girl names to balance it out. @DNC, if you want to change Araminta, you may like Aramantha, which carries the nn. Minty too. Another nn for araminty is Ara. I love it. Hard to find a great middle name for it, but I think it works well as a middle name itself. If you do find the right middle and use it as a first name, I think Minty works just fine as a nickname, but there are so many options! Amy, Ara or Ari, Rami, Mint, maybe even Mitzi?? Growing up, I loved the 1950’s children’s story “Minty’s Magic Garden” (now long out of print and very hard to find). 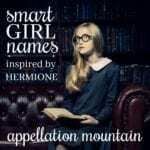 The main character’s full name is, of course, Araminta – I always thought it sounded magical, and I think (like Nessa above) that “Minty” is a very jaunty little nickname for a young girl, though it probably wouldn’t age well. Araminta was first noticed as a name in a British play in the late 1800s. It is usually seen in use in Scotland and Ireland, although the woman who owns Jimmy Choo shoe company has a daughter Araminta, nicknamed Minty. Araminta was the slave name of Harriet Tubman, and there is a children’s book called Araminta’s purse. In 2004 I named my daughter Araminta, after my mother’s favorite great aunt who came to Iowa in a wagon form Pennsylvania, out if scotch Irish dissent. The plan was for my daughter to be a Minta, but the whole name stuck. Only after I named her did we ever look into the meaning and who had been named it before. it’s a great name, in this day of Avas she will always be a bit of a one name only star. Araminta has this lovely regal sound to it, I find her delightful. However, the nickname Minty does nothing for me, and Tintin is perhaps a bit too cutesy for my liking. Currently, I’m thinking Indie, but we’ll see. I really like this one. Found it whilst looking up “British names”. I wish we’d used Araminta as my daughter’s middle name, instead of the unexciting Abigail. I’m not sure we could pull off Araminta as a first name. And I do like the Minty nickname. Thankyou for liking ‘Minty’!! i dont know why people dont like it my real name is Araminta however i have been called minty since i was born, i prefer people to call me Araminta now thought as i am moving up the career ladder i think it sounds more grown up! ARAMINDA (changing one letter, and really, it’s the same sound with voice behind it) – gets rid of the minty and substitutes a somewhat more acceptable “Mindy” as a possible nickname. ARASINDA – two letters off of the original and Cindy and Sandy are possible nicknames. 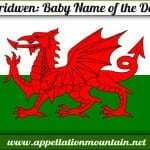 ARAMANDA – again, two letters different from the original and Mandy is the most likely nickname. Kind of a new twist on Amanda? And then there’s ARASANDRA and ARASANDRIA – which are really quite different from the original (but you can see the path to getting to them through the small changes)… these are kind of like slightly altered Italian cousins to the ever popular “Alex” names (Alessandra, Alessandria) – r and l are sister sounds (both ‘liquids’ in linguistic terms). 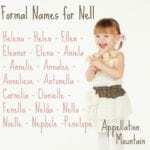 I don’t think I’d give my daughter any of these names, but what do you think? Maybe someone more adventurous would like them? While I like the sound of Aramanda, it looks like Armada to me. But I love Arasinda and Araminda. Arasandria might be a bit much, but Arasandra seems like a nice alternative to Alexandra, too. I agree with the general sentiment – love Araminta, not wild about Minty (though I love your My Little Pony reference, Lola!) but find it all rather frilly for my tastes. It’s always reminded me of herbal tea. Still, I dig it. But I love all the overdone, fussy, musty names. This one’s no different, although I do think it’s one of the hardest to pull off. I read a book last year called “A Dirty Job,” and one of the (male) characters was named Minty Fresh. It was a dark comedy of sorts. And a shout-out for Araminta Spook, my eight year-old reads those, they’re way cool! Makes me think of good smells – mint and aromatic. I like Mina or Minna for nicknames or maybe Minta, not Minty though. Pretty and unusual. Thanks a million, Verity! Araminta’s in my top 10 these days. Minna & Min/Mina are all possible nickanmes and boy, am I a sucker for the Min- sound. Even Minnie’s alright to me, at least occasionally. Minty’s one of Josie’s favorite “My Little Pony” ponies and not likely as a nickname in my house. But if she ever wanted to dye her hair cotton candy pink and wear a lot of minty green, it would fit! 😀 My surname’s not exactly simple but it is easy to figure out and boy is it familiar to a lot of people. So they work as a set for me. I love her literary assocations, even Araminta Spook is charming. Araminta’s easy to say, not so tough a spell and overall, charming. I think she’s aces! She’s pretty, but I’m not sure I can get over her “minty” feel. Funny, for some reason Aminta appeals to me more. She’s less minty, perhaps because I’m tending to say air-uh-MIN-tuh for the English-lit name and am-EEN-tuh for the Italian-lit name. Still, I love obscure literary names, so this is a good one to add to my list for suggesting to other people. This is my third time attempting to post this comment, so forgive me for maybe being short with it. Araminta sounds like a pretty, pretty princess (in a good way). She’s a little girl who loves playing with my little pony. I think it’s sweet and seems like a name a little girly-girl would love to have. I actually think Minty is a fun and jaunty nickname, I could dig it. Seems like Minta would come naturally though. Oh yes, by the way. This is Lyndsay, but I’ve changed my name because I’m tired of having my real name all over the internet. I just realized yesterday that I can legitimately get the nickname Nessa out of my middle name. I’ve loved Nessa since I read Wicked about five years ago, I can’t believe it’s taken me so long to figure out that I can use it. Waite was the first name of one of my ancestors, I think it’s so lovely and simple and sweet and I’ve wanted to revive it since I found it in my family tree! The End. Ugh, there’s something wrong with my computer, I just left a comment but it disappeared. Anyway, I think Araminta is a pretty, pretty princess name (in a good way). And I think Minty would be a kind of cute, jaunty nickname. Seems to me that Minta would be the most natural thing to call her though. Also, this is Lyndsay, but I’m changing my name to this. I’m tired of having my real name on the internet and I just realized that I can actually get the nickname Nessa out of my real name. I can’t believe it took me so long to realize that because I’ve loved Nessa since I read Wicked, which was years ago. Oh well, I’ve got it now! And Waite is a family name which I think is really sweet and pretty and I’ve wanted to revive it since I found it in my family tree. Araminta sounds like such a princess name, I really like it! I even kind of like the nickname Minty, it’s kind of jaunty and fun. Seems to me Minta would be the most natural thing to call her though. That’s very interesting about Harriet Tubman being born Araminta, how cool. oh, P.S., this is Lyndsay Jenness, but I’m changing my name to this because i don’t like having my real name all over the internet and I just realized that I can legitimately get the nickname Nessa (which I’ve loved since I read Wicked) out of my name… can’t believe it took me so many years to realize that. Waite is a family name that I’ve wanted to revive. So, there you have it!